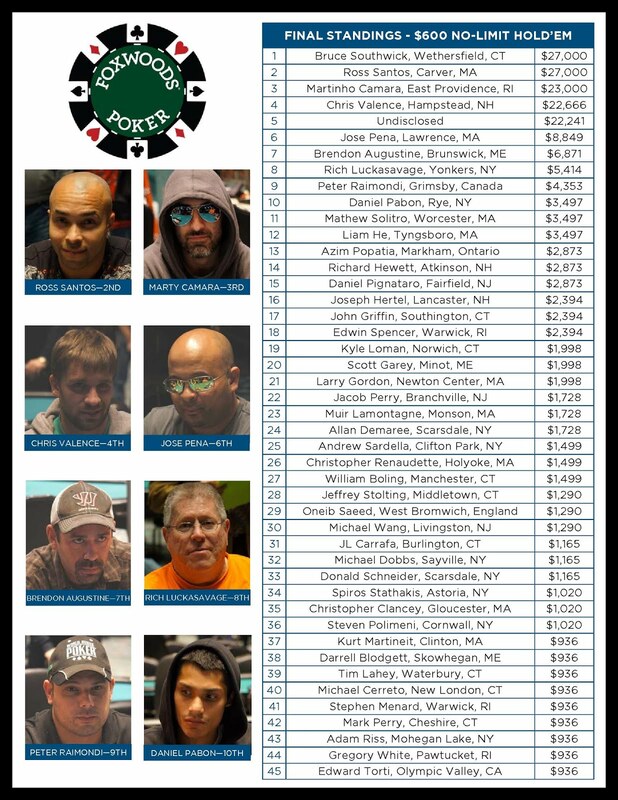 There are down to the final 54 players in the $400 No-Limit Hold 'em event at the Foxwoods Poker Classic. The blinds are currently 1,500-3,000 with a 400 ante and the average chip stack is 102,200. After the completion of the current level, play is scheduled to continue on Day 1 for three more levels. Day 2 will resume at noon tomorrow. 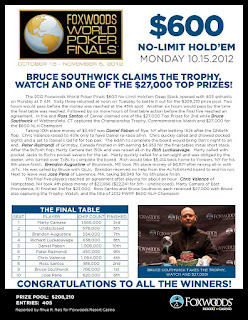 The players in the $400 No-Limit Hold 'em event are now on a one-hour and 15 minute dinner break. When play resumes, the blinds will be 600-1,200 with a 200 ante. With 115 players remaining, the average chip stack is now 48,000. The final 30 players will finish in the money. Philip Mondello, winner of the $300 Bounty Event at the World Poker Finals. 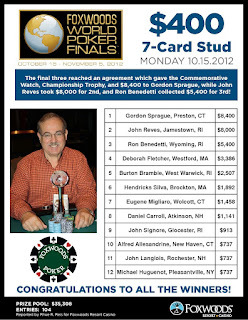 After a four-way chop, Philip Mondello has won the $300 Bounty Event at the 2012 Foxwoods World Poker Finals. 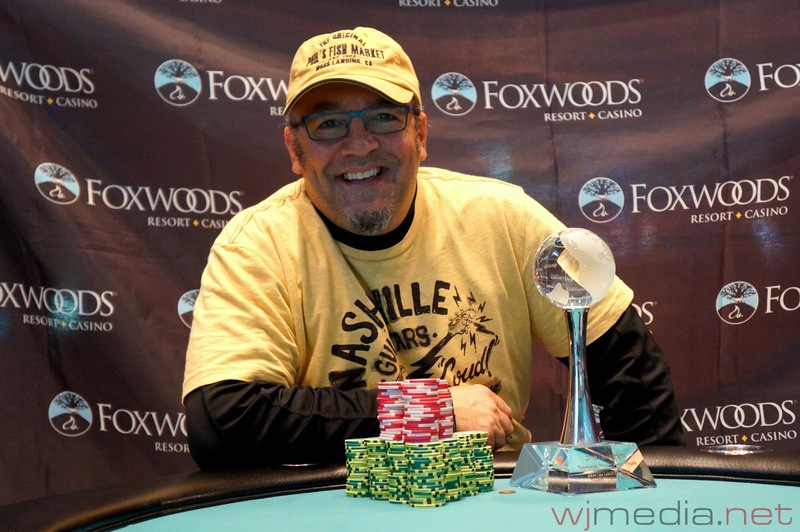 Mondello takes home $11,409 and the World Poker Finals Trophy. 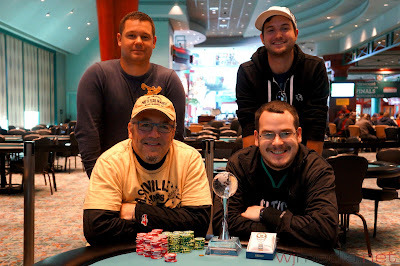 The Final Four of the $300 Bounty Event. We had a total of 276 players in today's $400 No-Limit Hold 'em at the Foxwoods World Poker Finals. The blinds are currently at 100-200.